When George Bush left office the War in Iraq was won. Today the flag of Al-Qaeda flies over Fallujah. It only took five years for Obama to lose all US gains in Iraq. A rejuvenated al-Qaeda-affiliated force asserted control over the western Iraqi city of Fallujah on Friday, raising its flag over government buildings and declaring an Islamic state in one of the most crucial areas that U.S. troops fought to pacify before withdrawing from Iraq two years ago. The capture of Fallujah came amid an explosion of violence across the western desert province of Anbar in which local tribes, Iraqi security forces and al-Qaeda-affiliated militants have been fighting one another for days in a confusingly chaotic three-way war. […] Is it just this basketball sized coconut filled with blue alcohol talking or does the world actually seem less safe today for Muslims then the day President Obama won the Nobel Peace Prize for “resetting” US relations with the Islamic world? Because I keep waking up to news that Muslims are dying all over the Muslim world because other Muslims don’t think they’re the right kind of Muslim. It’s not that I blame Obama for any of this. I don’t. When someone murders someone else, I blame the murderer not the guy thousands of miles away telling the cameras about how awesome their foreign policy is and, yes, aren’t we all just so lucky to have him as President? But I think it’s pretty telling that the US news media has pretty much given up on covering the bloodshed all over the Muslim world because … OBAMA. I can’t believe I have to put up with three more years of this sh*t.
Al Qaeda fighters marched into the key Iraqi towns of Falluja and Ramadi Friday, Jan. 3, after resoundingly defeating a major Iraqi army offensive. This victory was aided by the Sunni tribes of western Iraq. 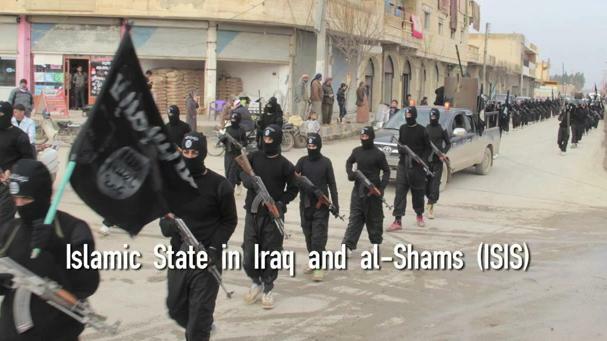 The Iraqi-Syrian branch of al Qaeda (ISIS) has now gained a territorial chain of control stretching from Ramadi, 100 km west of Baghdad, to Al-Raqqah in northern Syria, 160 km from Aleppo. Its commander Abu Bakr al-Baghdadi vows to establish an Islamist caliphate, which would present a direct menace to Israel, Jordan, Saudi Arabia and Lebanon. This entry was posted in Health, media and tagged al qaeda, Fallujah, george bush, iraq, jawa report, jim hoft, Obama, President Obama, rusty shackleford, washington post. Bookmark the permalink.